Another detail!!! 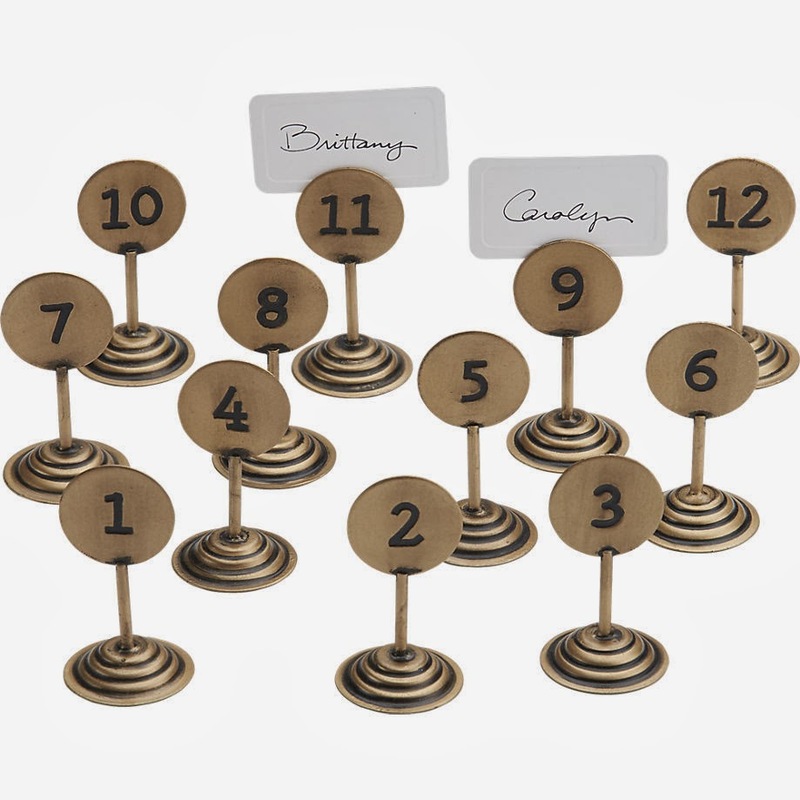 If you are having less than 12 tables think about grabbing these cute little placecard holders and could be understated table numbers and also hold a menu card! Sometimes tablescapes can be so full of stuff that smaller is better. And these are on sale! And no I did not buy them for myself (although I cannot deny they lived in my cart a few times). These are available from CB2 but you might need to call the store!